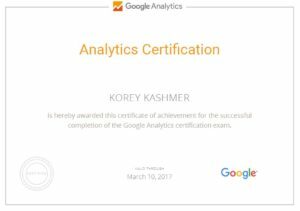 While it may sound trivial, the Google Analytics certification is important. Google requires that you renew the certification every 18 months. 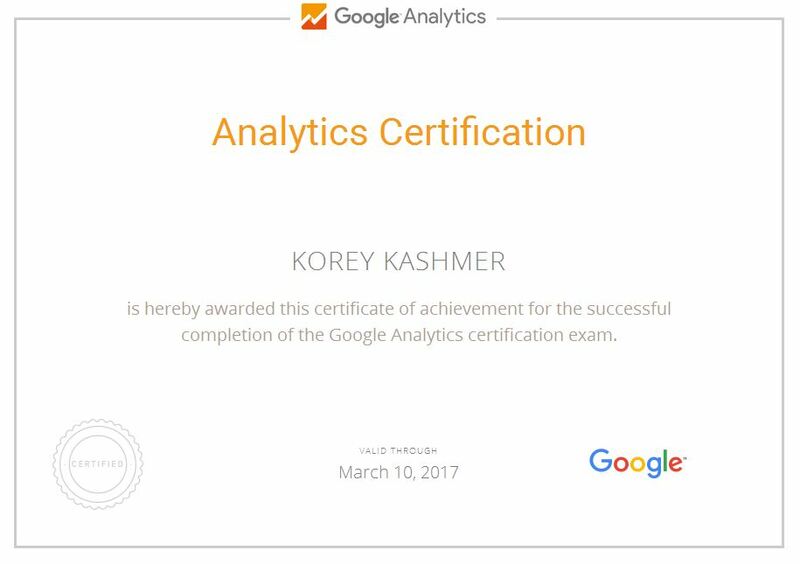 Kashmer Interactive, LLC is currently Google Analytics certified. There is many ins and outs to Google Analytics. Even with my certification, there is still tons to learn and tons to know. Getting certified at a minimum keeps you up to speed on some of the core basics like advanced segmentation and data analysis.